Radamel Falcao has admitted that he considered leaving Atletico Madrid in the summer transfer window after the club said they could struggle to hold on to their star striker without Champions League football. The Colombia international, 26, was linked with clubs such as Real Madrid, Manchester City and Chelsea over the course of the summer, but eventually stayed at Atletico as no concrete offers came in. “I thought about the possibility of leaving when the club said that it would be difficult to continue if it did not get into the Champions League,” Falcao was quoted as saying by Marca. “The future was uncertain because of finances but the team made a big push and almost the entire squad stayed in the end. The striker then went on to express his delight with his success at Atletico so far, and is hungry for more silverware. He added: “It’s what I was hoping when I signed, to make my mark, be important to the club, in the squad. To celebrate good times and titles like those we’ve won. We have to keep doing the same and look for new objectives. Falcao’s current deal with the Colchoneros runs until June 2016. Van Nistelrooy, who was Ronaldo’s team-mate at Manchester United from 2003 until 2006, also played alongside the forward at Madrid in 2009-10. “I never saw him as an arrogant guy. He was always open to advice and not arrogant at all. He was a great guy in the dressing room. He was really vain, but always in a good mood and making jokes,” Van Nistelrooy stated to Algemeen Dagblad. “I talked to him like attackers talk among each other. A lot of his individual actions were not necessary and he lacked efficiency. He still had a lot of room for improvement. “He worked incredibly hard to become a better player, though. And that’s clearly paid off. He really is crazy about the game and always wanted to become the perfect player. Cristiano Ronaldo has netted nine goals in as many official appearances this term, and will be looking to add to his tally in Wednesday evening’s Champions League encounter against Ajax. For the third season in a row, Real Madrid face the Dutch giants in the group stages of the Champions League, with Los Blancos being utterly dominant in recent meetings. Their last four encounters have produced four wins for the Spanish side, who have scored 12 times without conceding. Having won their last three competitive fixtures in a row, Madrid look to have banished any early season jitters and are available at 4/9 (1.44) with to record another victory. Ajax, meanwhile, are offered at 11/2 (6.50), while the draw can be backed at 7/2 (4.50). Madrid are rightly overwhelming favourites for this game, and the clinical fashion with which they dispatched Deportivo La Coruna 5-1 on Sunday will have been ominous viewing for Ajax. The price of evens (2.00) for Madrid half time/full time looks extremely tempting given that it has paid out in each of the last four matches against Ajax. But for a slightly more cautious bet with a great chance of paying out, back Madrid to win with over 2.5 goals being scored at 3/4 (1.75). There have been at least three goals in Madrid’s last six games in the competition, while Los Blancos have scored over 2.5 goals in their previous three meetings with the side from Amsterdam. For some higher odds, back Karim Benzema to open the scoring at 11/2 (5.50). The Frenchman has been in impressive form recently, and is looking as sharp and clinical as he did last season. Two goals in his last three games for Madrid, coupled with two strikes in his last three encounters against Ajax, make him a real threat for the Dutch champions and a great value bet for the first scorer. 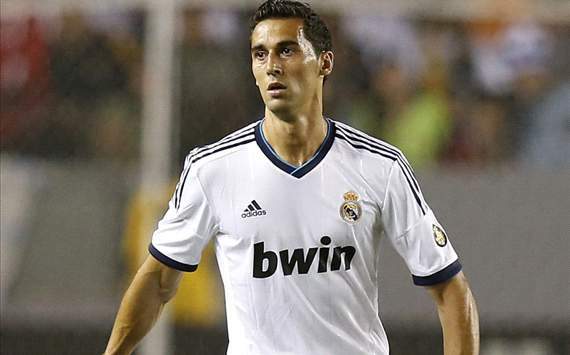 Real Madrid full-back Alvaro Arbeloa believes that reports claiming coach Jose Mourinho is difficult to work with have been wildly blown out of proportion. A stuttering start to their Primera Division campaign has seen Mourinho prove critical of his players on occasion, with the former Chelsea and Inter boss’ outburst against the team following their 1-0 loss to Sevilla of particular note. However, Arbeloa insists Los Blancos have never been more united in achieving their objectives together, maintaining that it was also normal for there to be competition for places within the side. “We have a lot of respect for Mourinho and we are mature enough because of this and the trust we place in him,” the 29-year-old declared at a press conference. “If there is something we are unhappy about we discuss it in private with him. We have a very good relationship with him. “We are very close to each other and to the coach. I get on better with some people in this group than with others, but this happens everywhere. I do not have much to say about this. The Spanish champions opened their European campaign with a 3-2 win over Manchester City at the Santiago Bernabeu. Real Madrid boss Jose Mourinho says that while he has no quarrels with any of his squad ahead of their fixture against Ajax, including Sergio Ramos, he has a far better relationship with his wife. Rumours of a rift between the 49-year-old and Ramos emerged when the Spanish defender wore Mesut Ozil’s shirt underneath his own, during the second half of their La Liga victory against Deportivo, as the German midfielder seems to have fallen down the pecking order at the Bernabeu. “There is no doubt that Sergio Ramos is a top professional,” announced Mourinho, speaking at a press conference. Mourinho was keen to dispel the speculation, as he remains focused on his side’s next game, in which he targets three points. “I have a Champions League match tomorrow and that’s it. They’re all desperate to play. Every defeat increases the danger [of being knocked out]. “For the last two years we have got past the group stages and gone quite far. For now we are focused on trying to get three points. “Everyone is rowing in the same direction. We’ve won three straight games. Against City, with an amazing comeback, against Rayo, in a tough atmosphere, and against Depor, despite falling behind,” he explained.